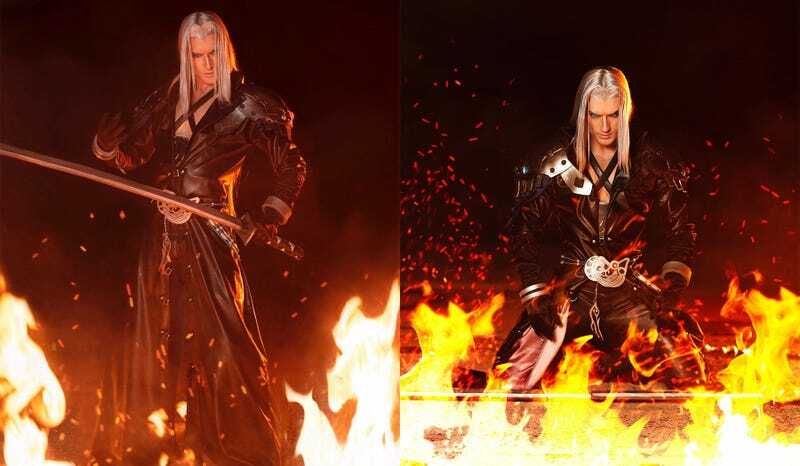 This isn’t photoshop: cosplayer Leon Chiro went all out on this Sephiroth getup, sitting himself in a ring of fire to make sure everything was as evil and brooding as possible. The fire photos were taken by Muffin Geek Production, while the others are by EoS Andy and Tobias Schmelzer. The shoot was part of an event called Pixel Mania, held in Poland last month, and the professional fire effects were provided by Playing With Fire.